Perhaps the most intriguing line of evidence comes from 19th century historical documents, especially from an interview recorded by Fayette Lapham. Lapham never became a Latter-day Saint,13 but he did record a discussion he had with Joseph Smith, Sr. in 1830. Much of the content in Lapham’s report is clearly garbled. Yet, through careful analysis, Don Bradley has persuasively argued that Lapham’s report does indeed contain several authentic details about the Book of Lehi. Until the lost 116 pages are found or the Lord reveals their contents, we will never be sure exactly what was on them. Yet a careful analysis of the available evidence offers intriguing, and in some cases, very likely possibilities about what they contained. This information, while not essential, can help us answer questions about Book of Mormon passages that may otherwise seem confusing or irrelevant. 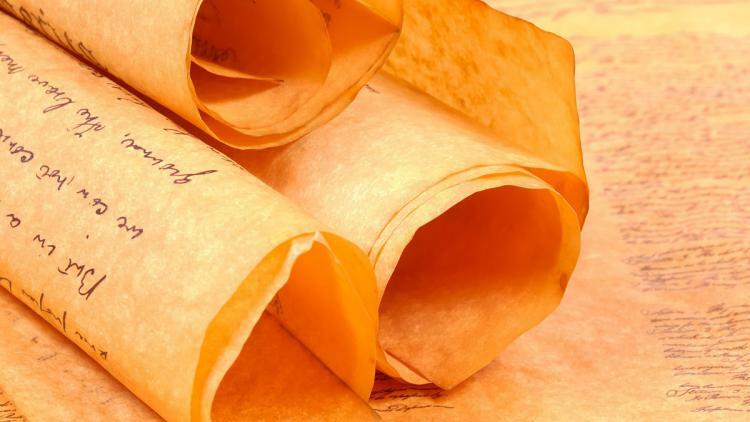 The story of the lost manuscript also demonstrates that God can compensate for the human weaknesses of his servants. Centuries before Martin Harris lost the 116 pages, God inspired the prophet Nephi to make a record which would ideally serve as a replacement introduction to the Book of Mormon. 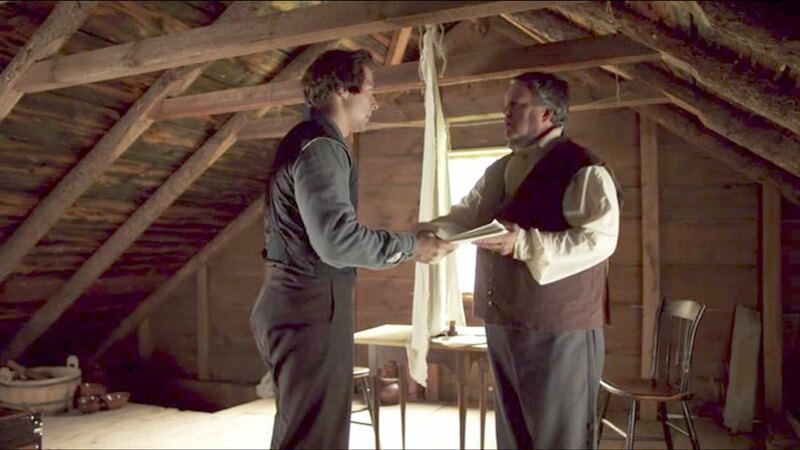 As the Lord explained to Joseph Smith, “The works, and the designs, and the purposes of God cannot be frustrated, neither can they come to naught. … Remember, remember that it is not the work of God that is frustrated, but the work of men” (D&C 3:1, 2). Whatever challenges or setbacks we may suffer in our personal lives, we can similarly trust that the Lord can compensate for our weaknesses and limitations. Sometimes, like Joseph Smith and Martin Harris, we may feel that “all is lost.”16 Yet through the infinite power of Christ’s Atonement, all that seems lost can be ultimately and miraculously restored. Don Bradley, “American Proto-Zionism and the ‘Book of Lehi’: Recontextualizing the Rise of Mormonism,” (M.A. Thesis, Utah State University, 2018). John A. Tvedtnes, “Contents of the 116 Lost Pages and the Large Plates,” in The Most Correct Book: Insights from a Book of Mormon Scholar (Salt Lake City, UT: Cornerstone Publishing, 1999), 37–52. S. Kent Brown, “Recovering the Missing Record of Lehi,” in From Jerusalem to Zarahemla: Literary and Historical Studies of the Book of Mormon (Provo, UT: Religious Studies Center, Brigham Young University, 1998), 28–54. 1.See William J. Critchlow, Jr., “Manuscript, Lost 116 Pages,” Encyclopedia of Mormonism, 4 vols., ed. Daniel H. Ludlow (New York, NY: Macmillan, 1992), 2:854–855. 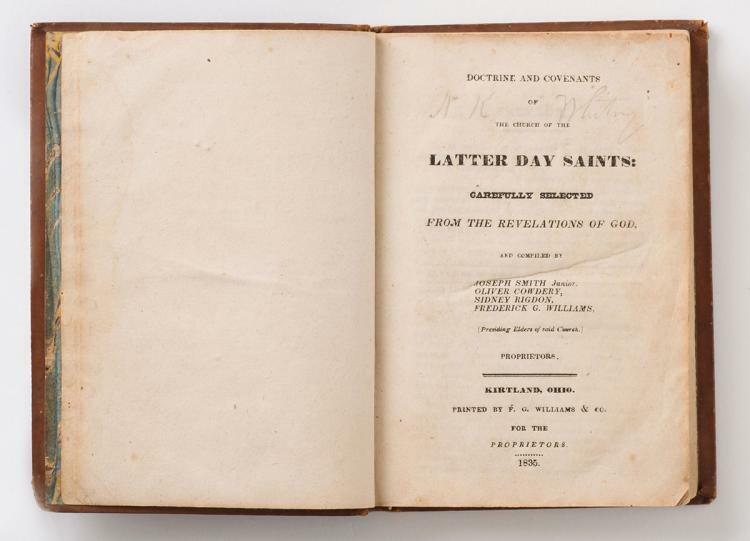 2.See “Book of Mormon, 1830,” p. [iii], online at josephsmithpapers.org. 3.After the loss of the 116 pages, Joseph Smith’s divine gift to translate was temporarily suspended. In a revelation, he was told to not attempt to retranslate the missing pages because wicked men with the stolen copy would seek to undermine the credibility of the work (see D&C 10). Instead, when the translation resumed in April of 1829, the translators just picked up where the translation had previously had left off, near the beginning of the Book of Mosiah. 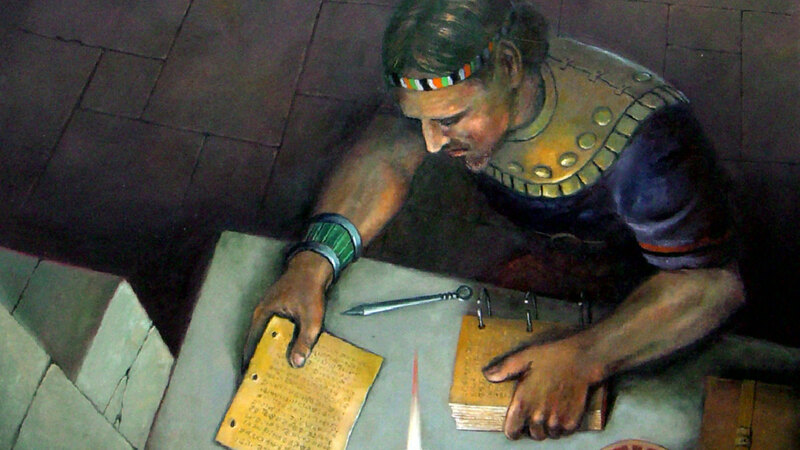 Evidence indicates that, contrary to most readers’ expectations, Nephi’s small plates (1 Nephi through Omni) were most likely translated afterthe abridgments and personal writings of Mormon and Moroni. 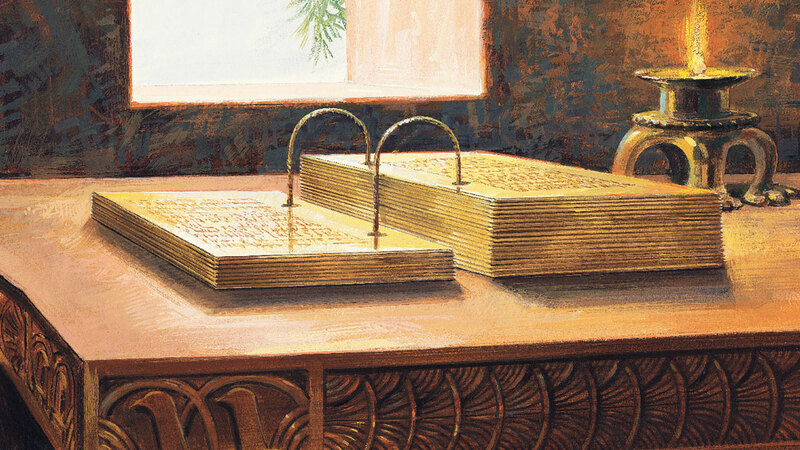 When the Book of Mormon was being prepared for publication, it was rearranged in the order that we know it today, with the translation of the small plates at the beginning, followed by Words of Mormon and then Mosiah. 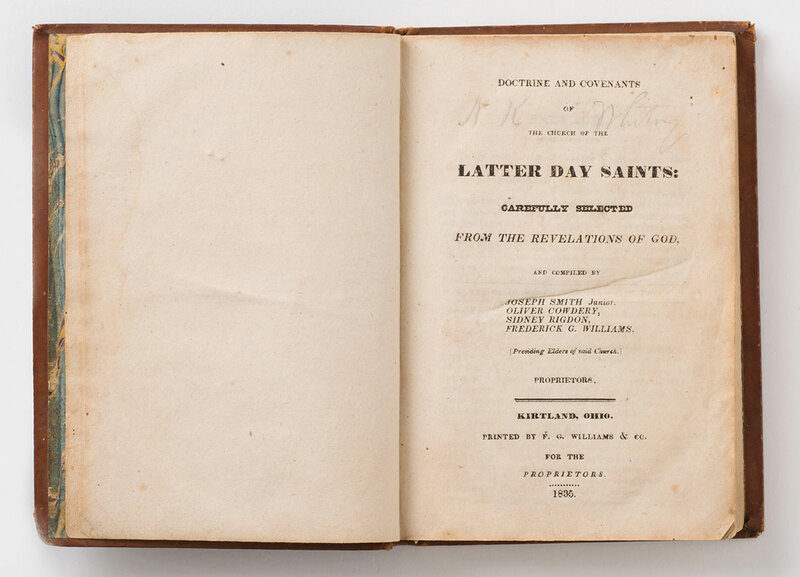 See John W. Welch, “The Miraculous Timing of the Translation of the Book of Mormon,” in Opening the Heavens: Accounts of Divine Manifestations, 1820–1844, ed. John W. Welch, 2nd edition (Salt Lake City and Provo, UT: Deseret Book and BYU Press, 2017), 98–103, 121–125. 4.The following summary is largely adapted from Don Bradley, “American Proto-Zionism and the ‘Book of Lehi’: Recontextualizing the Rise of Mormonism,” (M.A. Thesis, Utah State University, 2018), 28–30. 5.Elder Kim B. Clark has explained, “Without Lehi’s record [which was lost with the 116 pages], there would be no account of Lehi’s family, the journey to the promised land, or the origin of the Nephites and Lamanites. In May of 1829 the Lord revealed to Joseph a plan, centuries in the making, to replace the book of Lehi with what we now know as the small plates of Nephi.” Kim B. Clark, “Thou Art Joseph,” Worldwide Devotional for Young Adults, May 7, 2017, online at lds.org. 6.See 1 Nephi 1:16; 6:3; 9:2. 7.S. Kent Brown, “Recovering the Missing Record of Lehi,” in From Jerusalem to Zarahemla: Literary and Historical Studies of the Book of Mormon (Provo, UT: Religious Studies Center, Brigham Young University, 1998), 30. 8.See Brown, “Recovering the Missing Record of Lehi,” 28–54; S. Kent Brown, “Nephi’s Use of Lehi’s Record,” in Rediscovering the Book of Mormon: Insights You May Have Missed Before, ed. John L. Sorenson and Melvin J. Thorne (Salt Lake City and Provo, UT: Deseret Book and FARMS, 1991), 3–14. 9.Bradley, “American Proto-Zionism and the ‘Book of Lehi’,” 28–29. 10.See John A. Tvedtnes, “Contents of the 116 Lost Pages and the Large Plates,” in The Most Correct Book: Insights from a Book of Mormon Scholar (Salt Lake City, UT: Cornerstone Publishing, 1999), 38–40. 11.See Book of Mormon Central, “Why Did Lehi Divide His People into Seven Tribes? (Jacob 1:13),” KnoWhy 319 (May 29, 2017). 12.See Bradley, “American Proto-Zionism and the ‘Book of Lehi’,” 29. 13.See Bradley, “American Proto-Zionism and the ‘Book of Lehi’,” 124. 14.See Bradley, “American Proto-Zionism and the ‘Book of Lehi’,” 120–159. 15.David A. Bednar, “‘Chosen to Bear Testimony of My Name’,” Ensign, November 2015, online at lds.org. 16.See “Lucy Mack Smith, History, 1844–1845,” p. , bk. 7, online at josephsmithpapers.org.